Take a trip through history as you lead your attendees on a Civil Rights tour after a meeting at The Kansas African American Museum. The museum opened at the site of Calvary Baptist Church in 1997, after the building was placed on the National Register of Historical Places. Inside the museum, you’ll find authentic artwork, photography, sculptures and information about famous African Americans with ties to Kansas. Corporate members receive 10 percent off on facility rental. 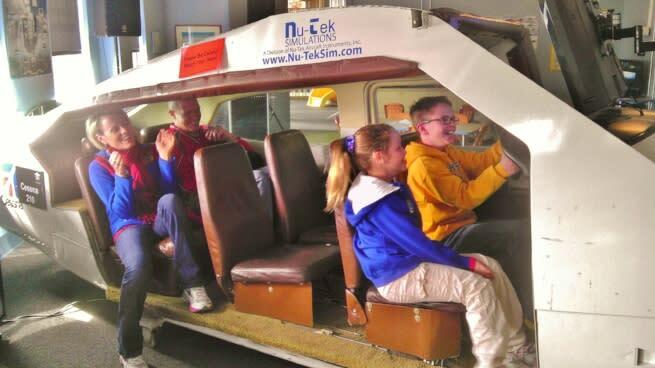 Don’t come to the Air Capital of the World without experiencing history at the Kansas Aviation Museum. 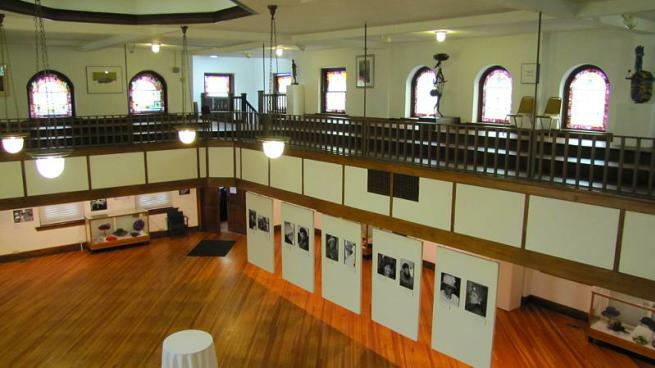 Host your event in this National Historic Registry building that has been graced by actors, presidents and dignitaries. The venue offers flexibility and a unique atmosphere as your meeting attendees will be surrounded by actual historical aircraft. With a technology-smart conference room or open use of the entire building, the opportunities are limitless. 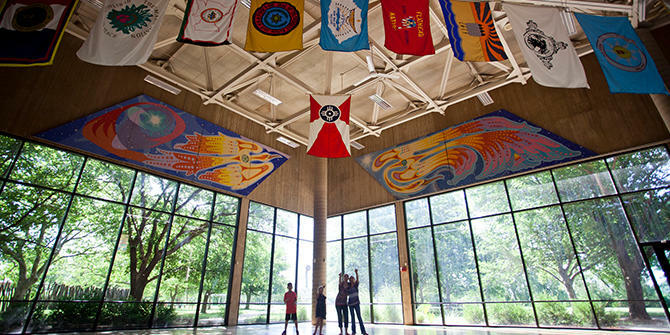 With a unique facility overlooking the Arkansas River, the Mid-America All-Indian Center sits beside the iconic Keeper of the Plains sculpture. The spacious Gallery of Nations level has a spectacular view of this revered monument and the surrounding downtown area. Inside the museum, attendees can learn all about the culture of the Native American Plains Indians and enjoy the Keeper of the Plains Plaza and Outdoor Learning Center. 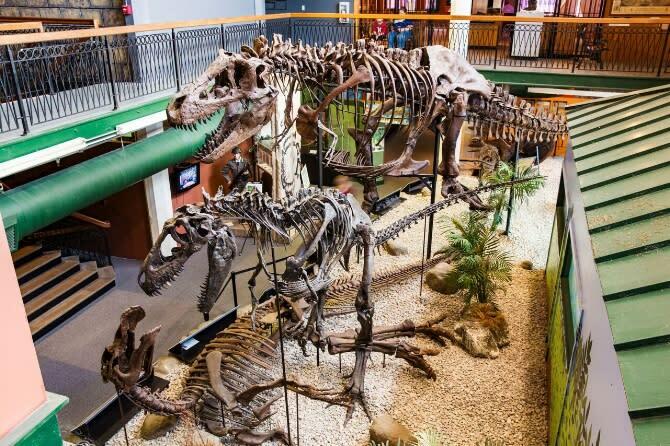 With more than 4,000 certified finds on three floors, the Museum of World Treasures offers a one-of-a-kind experience for your meeting attendees to be surrounded by artifacts from history. With a banquet room perfect for meetings, you can discover your inner explorer and learn about many cultures over the span of time, from the earliest inhabitants of the planet through the modern era. 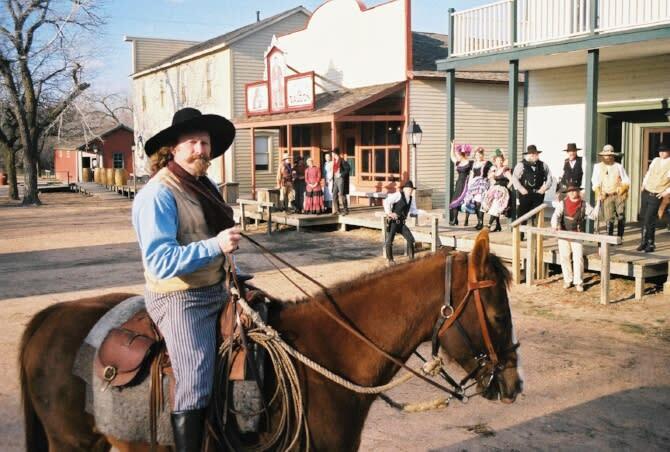 Travel back to the Wild West for your next event with the one of the country’s oldest living history museums, Old Cowtown Museum. 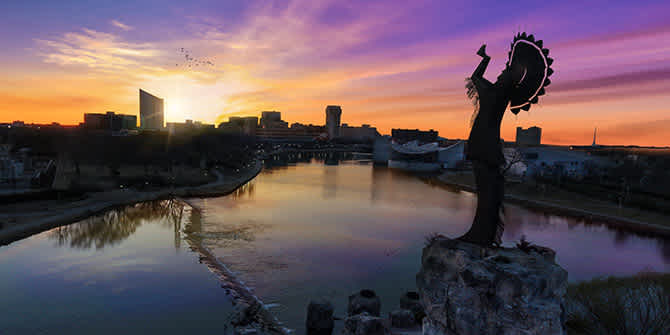 Wichita began as a bustling cattle town situated along the Chisholm Trail before growing into the booming manufacturing mecca it is today. Attendees will get to experience life, tools, art and furnishings of the 19th century as well as Wichita’s transformation. There is no other museum like Old Cowtown Museum in the country. For a list of more unique meeting spaces in Wichita, head to our Meetings Facilities page at VisitWichita.com.